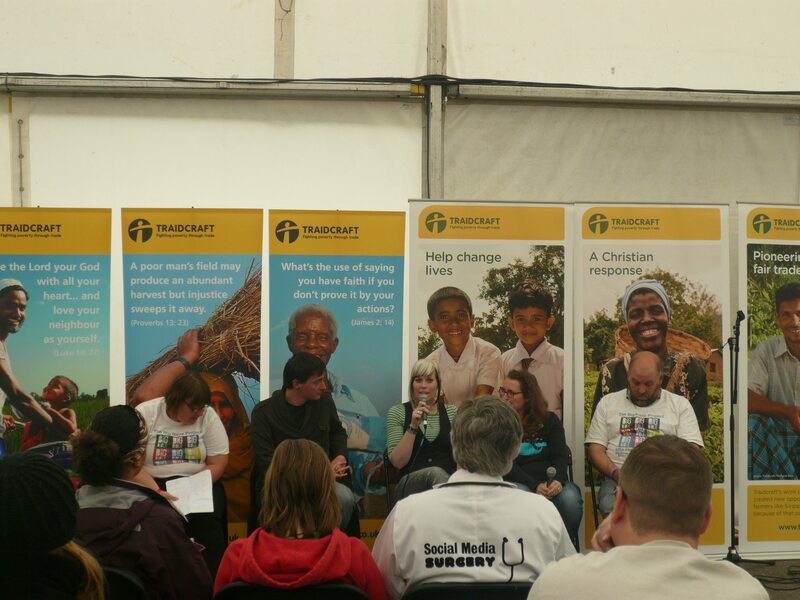 Some of you might know that I went to the brilliant Christian Arts festival Greenbelt over Bank Holiday weekend. Part of what made this year great for me was the opportunity to spend a lot of the weekend talking about social media and faith and also meeting up with lots of Twitter friends face to face for the first time! There were a few things I did. One was to help out on the Codec stand talking about the Big Bible Project– the website of which I helped to manage this summer. You can just see me sitting next to Vicky Beeching! I had the privilege of being ‘grilled’ as part of a panel discussion called ‘Grill the twitterati’ organised by Codec and finally I helped out with the free Social Media Surgeries that were organised by Graham Richards and Paul & Pam Webster. This was my first time as an official ‘social media surgeon’ (although I’ve been doing this kind of thing for quite a while now) and I really enjoyed it. The concept of a Social Media Surgery was developed by Nick Booth – better known as @podnosh on Twitter. It’s simple – you just need a room with some social media enthusiasts, some laptops and a good internet connection and someone to act as a ‘triage nurse’. The surgeries can be booked by anyone wanting to learn about social media. Queries can be anything from how Facebook works to setting up a blog to learning which tools can help you to fund raise. After a slow start the surgeries got booked up pretty quickly at Greenbelt. I spent time with one guy helping him to get more traffic to his blog – I must give it a shout out here! Another person I helped was a Methodist minister who was trying to get her head around Twitter having set up an account and not being sure what to do next. I’m helping out at the Leeds Social Media Surgery next week so do come along if you want some free, informal advice! social media and especially Twitter are no longer a niche thing. Last year I spent most of my time persuading people that social media was cool and that you could do good things with it. This year it was more people coming to me saying ‘I know I need to learn about this’. one of the best ways to learn about social media and how to use it is to spend time with someone who uses it a lot. This means that I think the social media surgery model works really well – it’s tailored to the needs of individuals – there is no ‘one size fits all’ – you get a personalised advice session. churches are missing a trick if they don’t get into the social media space – there are easy ways to connect with a wide variety of people through social media and reach out beyond the church walls. I think one of the best ways to help churches get the skills and enthusiasm they need is to run social media surgeries in dioceses and parishes. If anyone’s interested in doing this with me in the Leeds/Bradford area please get in touch! 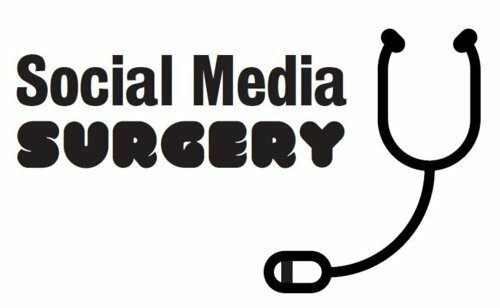 Great blog Bryony – I totally agree we need to have social media surgeries in dioceses etc – it’s one of my continued frustrations how little like that is available for churches! Trouble is I’m not anywhere near Leeds or Bradford! I really hope you get some help to run surgeries – please keep us posted! Excellent blog Briony! Thank you so much for your positive comments about the Social Media Surgery at Greenbelt. Do have a chat with me about your closing comment about getting churches to start doing something similar in the Leeds area. I work for Ripon & Leeds Diocese and would love to see more churches starting to run with this.